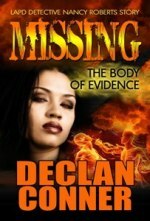 © Declan Conner and declanconner.com, 2011. Note. Some of these articles are posted as jpg’s and will not translate. Once I have completed this page I will post the information as seperate articles for the archive to enable none English-speaking Author’s to translate the information. The following are examples of how I formatted the pre-chapter pages and the first two pages of the MS. I will explain in detail how I set up the pages and added page numbers and headers. You may wish to style yours differently, it is entirely your choice. The above examples have had to be replicated in a different programme to post here, so some things may look out of line. You will notice that the title page does not appear to be centered left to right. This is because it starts on a right hand page and all your pages are mirrored. To start the opening chapter on a right hand page has meant there has to be a blank left hand page. Note; the wide margin I have used have been fine for both my 100,000 word book and my 62,000 word book. If your book has more, or fewer words, I would recommend you check with your POD distributors guidelines on their site. i, Title page. ii, Copyright. iii, Contents. iv, Dedication. v, Author’s foreword. , Blank page. At this stage you need to look at other ideas that may apply to your book. 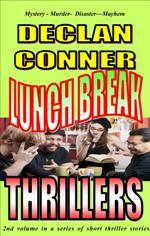 For example, since I formatted my book and received the proofs, Lunch Break Thrillers, has hit the Bestseller Charts in the UK. I have therefore decided to add an author page in Survival Instinct, to include this as a marketing tool, together with information on forthcoming releases. Your bio on the back cover will be limited, so you may wish to expand on your credits by inserting your own author page. I will be setting my author page as a right hand page after the title page, so I will need to insert a blank page between this and the Contents page to ensure I start the chapters on a right hand page. Go to your Word doc that you have set up for your book. Now you know what opening pages you wish to format, we are ready to begin. First Enter the Title of your book and then ‘by Author Name’, Highlight the text by holding down a left click of the mouse and rolling the cursor over the text. Go to the top of the home page and in your Word 2007. In the paragraph section under the view tab, you with see the icon for centering the text (Second from the left at the bottom) Click on this to center your text and use your return key to space out the title and author name. Whilst still highlighted, you can use any font at any size or style. You will notice I have used a Grayscale in mine. You can do this anywhere in your document, but you can’t use a color. To grayscale. Highlight the required text, go to the top of the home page. You will see a Capital ‘A’, with colored , or black bar underneath. Click on the drop down arrow to reveal the options. You can only choose from the grayscale in the first line. Click on the scale and it will change your text. Do not number this or any other page, we will be doing numbering separately. Note; remember, although you have centered you text it may look out of line because of the wide margin. To check if you are on a left or right hand page, look at the ruler bar At the top of the page which will show your margin tags. Copyright page. Look at samples of other books on Amazon, or on your bookshelf at home for the wording, or you can use how I have worded mine. Remember, you can increase the size of the copyright heading and use bold if you wish. I have centered mine, but it is your choice. Note; at this stage you won’t have your ISBN. Type ISBN anyway and a series of xxxxx’s to remind you to insert it when your POD provider suPplies it later in the process. All rights reserved. No part of this book may be reproduced in any form, or by any electronic, or mechanical means, including information storage and retrieval systems, to include, but not exclusive to audio or visual recordings of any description without permission from the copyright owner. For information on subsidiary rights, email in the first instance. If you are to insert an author page after the copyright page, then don’t forget to use your return key to create a blank page, or your Chapters won’t start on a right hand page. Contents: there is an automatic function on Word for creating table of contents, however, I have chosen not to use this as the number of chapters I have would have meant it running onto another page and I don’t know enough about the feature to make changes. Type the title of the page. For the contents page, we are going to allocate Roman numerals for the pre chapter pages. On the Word home page under the view heading, you will see a numbering icon next to the bullet icon. Click on the numbering drop down and select, — i ii iii—-. The rest of the pages are self-explanatory, just carry on laying them out to your chosen format. Once finished, click you arrow to creat a cursor at the end of your last page. We are now ready to upload a sample chapter. Open your MS. Be sure you have a copy because we are going to highlight it to copy into your POD document. Copy and paste your first chapter after the last page of the opening pages, being careful to have entered a click to produce a cursor on the last page. Leave the chapter highlighted. Go to the paragraph section as above and set up your paragraphs and Orphan control. When you click OK, it will alter you MS as per your settings. Ideally you will have already set the font at Times New Roman, at 11 point. But again this is your choice. Certain fonts will not embed ion the PDF, so nothing too fancy. Take a look at how it appears and if you are satisfied we are ready to move on. If not, make adjustments to your para settings. Warning, Word can be tricky when copying text to a new document. Sometimes it will transfer setting from your previous doc and alter the page settings. It is best to double-check that all your pages have the settings above. There can also be a problem with your text justified, in that some lines with only a few words can spread across the page. If this happens, highlight the offending line and go to your word home page to the paragraph section. In Word 2007, there is a small icon. It is next to the justify icon with a blue arrows pointing left and right ( not up and down arrows) with lines to depict text underneath. (If you have an earlier version of word, this icon does not show. Consult Word help) Double click on this icon and it will reveal a box showing your current line width. Under that is a separate section where to can reduce, or increase the line width. It is very much trial and error I am afraid. Over reduce the line and your spacing will become too condensed. Once you achieve the desired effect. click OK.
Once satisfied, click on a white part of the page to remove the highlight. Now go to the first line of your first paragraph and click your cursor in font of the indented word. Open the paragraph box again. In the drop down under special choose ‘None’. this will remove the first line indent. Go to your chapter title or chapter number and adjust to the required font and size. Once that is completed make a space or paces between your chapter and the first chapter line. I have used two spaces and the chapter title is set at the top of the page. You may wish to start further down the page. If your chapter title is spread across the page because of the justify setting, highlight it and choose left justify. Go the top of the Word home page and select the insert tab. Highlight the first letter of your chapter (Not the title). Above the text section, you will see an icon with a capital ‘A’, and under it the words ‘Drop Cap’. Select the drop down for this icon and choose your style. Click on options to bring up another box. I have chosen the one with 3 lines in the text. If you wish to grayscale it, then leave it highlighted and select your grayscale from the Word homepage as before. Your chapter should be looking something like finished. Print of the first pages and the chapter pages to satisfy yourself that everything is how you want it to look. Whatever comes off your printer is exactly how it will look in the book. If you are not satisfied, go back and make changes. Before we move on and add more chapters we are going to start to number the page and to add the headings. The following are mock ups of what we are trying to achieve with the headings . I have used a pale grayscale so as not to intrude on the read. The first chapter pages throughout will have the tile of the book. All left hand pages will have the author name and the right hand pages after the chapter title page will carry the chapter title. Numbering and headers, is one of the trickiest parts of formatting. Word can throw up all sorts of anomalies, so if it doesn’t go according to plan, check out Word 2007 help, or search the net, if you encounter a problem. Select the drop down as per the left image and select Format page numbers. this will reveal the drop down on the right. Select as shown. Follow the image on the left and select the second option. This reveals where you want the numbers at the bottom of the page. Click on the desired position. At this point a ‘Design tab’, appears at the top of the page, be sure that you have checked ‘Different first Page’, unchecked, ‘Different odd and even pages’ and checked ‘Show document text’. If you then go to your title page there should be no number on the page and your second page should start at , (ii). You can insert a blank left hand page to start your chapters on a right hand page. First click anywhere on the body of your page to come out of the formatting numbers edit mode. To insert the blank page, click on the “INSERT” tab. Now place your cursor on the last letter of text on the page before the blank page you wish to insert. Then go to the second icon along on the top that says “Blank Page.” When you click the icon it will insert a page break and add a blank page. If you wish to remove a blank page, then highlight the page break on your blank page and press delete on your keyboard. Now scroll to the page before the chapters begin and clicking to add your cursor to the top of the page. Then select the ‘Page layout tab.’ You will see a ‘Page break icon. This is depicted as two short pages with a blue arrow and the word ‘Breaks’. Click on this to reveal the drop down options. Go to ‘Sections’, and select ‘Next page’, under ‘section breaks. ‘ To make this visible, go back to your home tab and click on the symbol (wrong way round P), to reveal your paragraph settings. This is where it can get tricky. What we don’t want to do is to number the blank page. What we have to do is to create a break in the sections. In effect we are going to isolate the blank page by adding section breaks before and after the page and then break the link that would allocate a number to the page. Go to the blank left hand page and If this shows a roman numeral, highlight it. Go to format page numbers as above and select 1,2,3 in the page number format drop down, then select ‘Start at …1’ and click ok. Go back to the insert a number box. click in ‘bottom of page’ , select and click. Your numbers for your chapters should now read 1,2,3 etc. If not and there is a roman numeral after the first page. highlight it and go back to the same ‘Number format box’, shown above on the left. Select 1,2,3 again and at the bottom select ‘start at …2. click OK. All your numbering should now be formatted and we can begin to set the headers. As you add chapters and repeat the process of style formatting, your numbers should continue to follow on. However, at this point do not add any more chapters. As any changes you may have to make as we progress will affect things further down the line. Any spaces you change with throw the formatting of later chapters out of line. I should explain the section break (Not Page breaks) enable you to format different sections which we will be using to format different chapter headings. What you are doing is to break the link with the previous section so that it does not repeat the section before, unless that is what we want to achieve. The last thing you want is to have headers on the pages before the chapters begin. Here is how I did it. Select insert page and click on header to reveal a drop down box as shown. Click on the top ‘Blank’ as shown by the arrow. Go to the first left hand page after the chapter title page and double-click at the top of your page to put the header in to edit mode. A pale green ‘Design’ tab will appear. Make sure you check both ‘Odd and even pages’ and ‘Show document text. Now type in your author name and word will place it on all left hand odd pages. It will also show on the left hand odd pages prior to the fist chapter which we don’t want. Select page layout. Then go to the even page before the odd page you want to start retaining your author name and click on the page. Go to ‘Breaks’ which you should find under the review tab. Select the ‘Breaks’ drop down. You will see ‘Section Breaks’ Click on ‘Next page’ What you have created is two sections. To remove your author name from th preceding pages in section one, first of all go to the page which shows the section break, you will see a tab that says ‘Odd page header, section 2.’ Click on this. You will now see highlighted ‘Link to previous’ in the Word headings. Click on this and it breaks formatting with the previous section. Now you can delete your author name from the preceding pages. It is slightly more time-consuming for the next task, but essentially similar to what you have just done to put the book and chapter titles on the even pages. Go to you even page at your first chapter click on the header and type the title of your book. click the Word home tag and then right justify. Go to the page before, click on it and create a section break on next page. Go to the page of your chapter where you wish to retail the book title. double-click the header and it will show ‘ ‘Even page header section ‘ select the ‘ page layout in the Word header. Click on thE ‘Even page header’ and then go to the highlighted ‘link to previous and click to break with the previous section. You can now go to the even page before your 1st chapter and delete your book title. All your headers prior to your 1st chapter should be now blank. Go to your next even page after your chapter title and repeat this process, but this time type your chapter name. The go to your 2nd chapter and repeat until you have gone through all your chapters. remember to keep all the fonts the same. You can also use a grayscale on them tobe less obtrusive. Formatting your cover, is to be loaded soon. Page under development. Please subscribe to receive emails advising updates. I’m beginning to think I should make this into a colour book and sell it, lol. Of course if you find it useful, you could always buy one or both of my eBooks. Or both if you are feeling generous. Big smile. This is interesting and infomative but it comes back I think to the old question about why you are trying to have your work published. ON the one hand if you are truly trying to make your living by publishing your writing then it is probably not the way to go but if, like me, the thrill is seeing your work in print and knowing that there is the possiblity that someone somewhere could be reading your work then I don’t actually see a down side. I think you are right about all authors considering POD, to question their own motives. There are many legitimate reasons for taking this route. I just hope the guide will enable those giving it consideration, to go forword with their eyes open. I would recommend anyone trying the traditional route to publishing first. Thanks for sharing your rewarding experience and good luck in the future. Well, I missed my deadline of the 25th, but I have added some more. Hopefull it wiill be finished by this weekend. I may set up a seperate page for designing the cover. Sorry I am late with finishing this, but I am working on it. How do I contact you to order the pod formatting? I saw your link on Kindleboards. Sorry, I have never thought of doing the formatting for others. Everything here is a DIY guide.